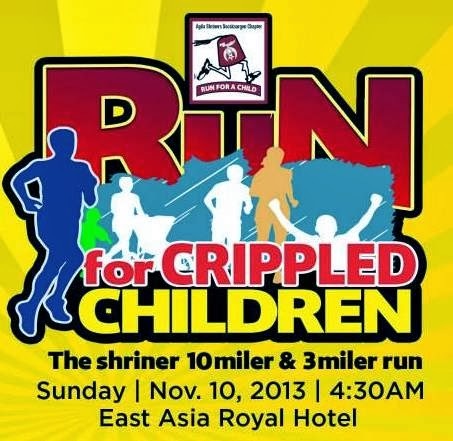 Run For Crippled Children on Nov.10! Join and support the Run For Crippled Children - The Shriner 10 miler and 3 miler run happening on Nov. 10, 2013 in General Santos City. For inquiries contact 0922 5348730 or 0917 7141800.